APSA's core summer program brings deserving public high school students on full scholarships from eight US cities to study in Beijing. The program focuses on language acquisition, cultural understanding, leadership development and exposure to international careers. 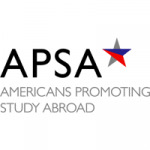 APSA programs provide participating students with the knowledge, experience, and motivation to establish the foundation for lifelong engagement with foreign cultures that is necessary to prepare the next generation of American leadership for the challenges our nation will face in the 21st Century. Since 2008, APSA has brought over 250 American public high school students on full scholarships to study in Beijing, China.